In our MiSTOA POLTSA artist profile you can find photos, cover art, tour dates and all content and streams we can find in our vault. We currently have 0 photos of MiSTOA POLTSA in the gallery and 1 posts. Shred as Shred can: Listen to MiSTOA POLTSA and their new EP. It sound as if it was recorded in a toilet but for whatever reason...it works. 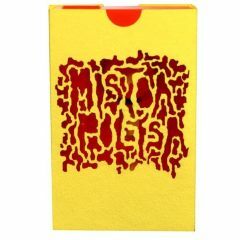 Below you can find links to MiSTOA POLTSA via pages like the official website, Facebook, Twitter and more.